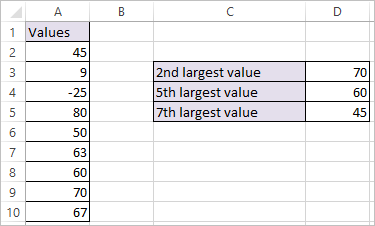 LARGE Function in Excel returns the Kth largest value from an array of numeric values. array – An array of numeric values from which you want to find the k’th largest value. K- The index. Value of K that is passed to find the kth largest value.